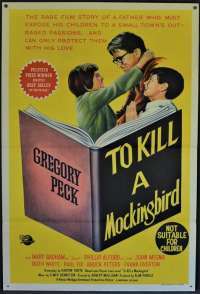 To Kill A Mockingbird is a 1962 American film directed by Robert Mulligan. 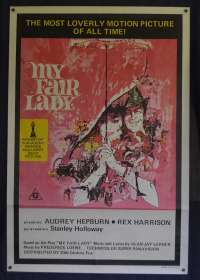 The screenplay by Horton Foote is based on Harper Lee's 1960 Pulitzer Prize-winning novel of the same name. 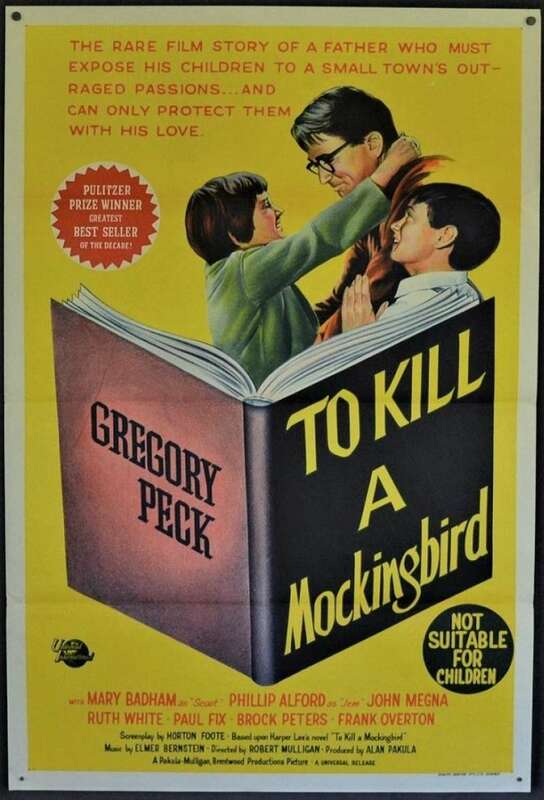 It stars Gregory Peck as Atticus Finch and Mary Badham as Scout. 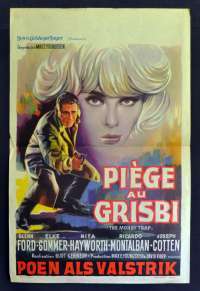 The film received overwhelmingly positive reviews from critics and was a box-office success, earning more than 10 times its budget. 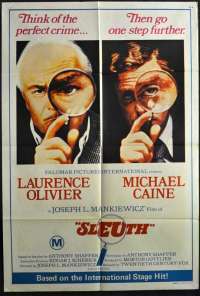 The film won three Academy Awards, including Best Actor for Peck, and was nominated for eight, including Best Picture. 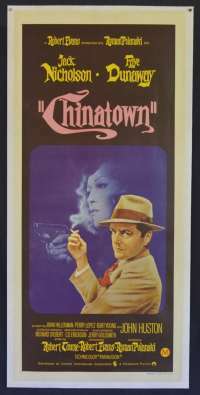 In 1995, the film was listed in the National Film Registry. 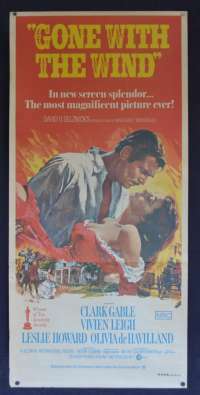 In 2003, the American Film Institute named Atticus Finch the greatest movie hero of the 20th century. 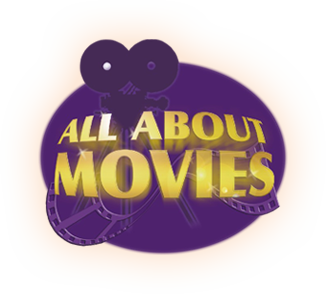 In 2007 the film ranked twenty-fifth on the AFI's 10th anniversary list of the greatest American movies of all time. 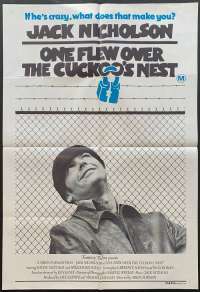 Peck himself admitted that many people have reminded him of this film more than any other film he has ever done. Edge Wear / Stains: Minor edgewear on vertical cream border next to tri-folded creases.